There are so many brands and products that go unnoticed. Some are so effective that until you use them you would never know. I have always loved to explore new products and brands. 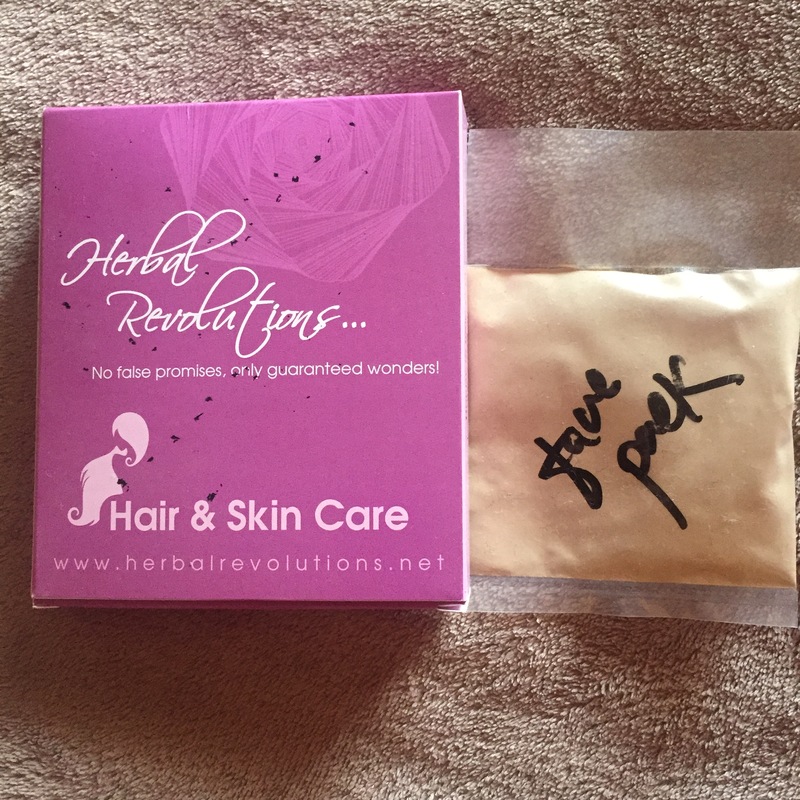 I was recently sent a goodie bag from Herbal Revolutions. Vaishali got in touch with me online and after a mutual discussion I agreed to review some of the products. I was sent a Almond & Rose Face Pack, a Hair Oil and a Hair Pack. These products are 100% natural and free of any chemical preservative. I have tried out only the face pack and hair oil. So, I’ll be sharing reviews of the same. The face pack had a smooth and fine consistency. Since I have a combination skin, I was advised to soak the pack in a little home made curd and honey and leave for 10 minutes. I applied it and left it for 20 minutes. The results were unbelievable. My skin felt soft and refreshed. Since my skin tends to dry out I was wondering if a moisture would be required. Though I had to apply, yet I must add it was in very small quantity. Also, my skin didn’t feel oily as it usually does. The pack costs 100/- INR and can be easily used 4 times. 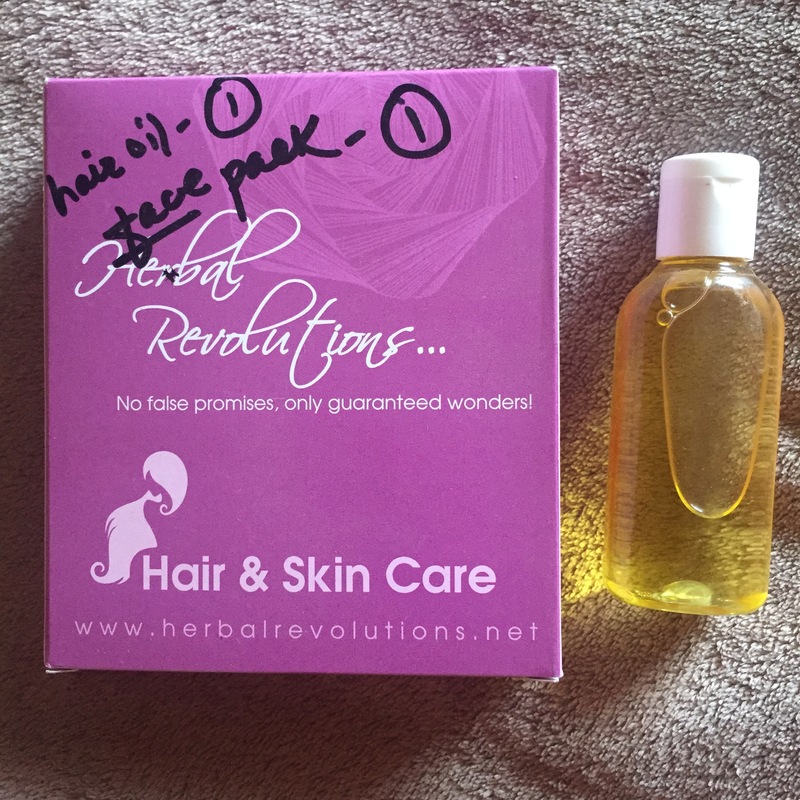 The hair oil was something that i was very keen to use. Of course, I must admit that I never oil my hair. I know, its not a good habit but I just never manage to get around to doing so. So, when I was sent one for review I had no choice so I applied it. 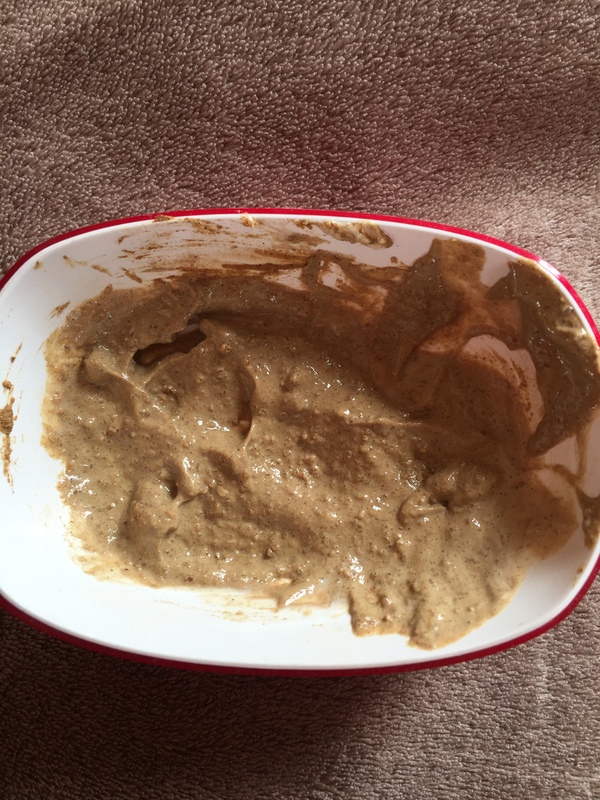 It was advised to leave it overnight for best results. However, since I have sinus I can’t so i washed it off after a couple of hours. The hair oil costs 200/-INR and for shoulder length hair should work for 4-5 applications as I apply it very sparingly. The products are made by Dr.Sangeeta Kanire is a bachelor of ayurvedic medicine She is a trained ‘Yoga Teacher’ with a ‘Dietician’ diploma from Oxford and ‘Diploma in Herbal Cosmetics’ from Mitcon. She comes with years of hands-on experience with Ayurvedic Drug Making & Herbal Cosmetics. She has combined the traditional age-old recipes, her passion for herbs & aromatherapy and finally the extensive research in creation of Ready-to-use Hair Pack. The results of her herbal remedies, tested in Indian and European continent, is creating an overwhelming impact globally. I would like to personally thank Vaishali with whom I connected and it was a great interaction. She was patient to give me the required time to try out the products and write my reviews accordingly. 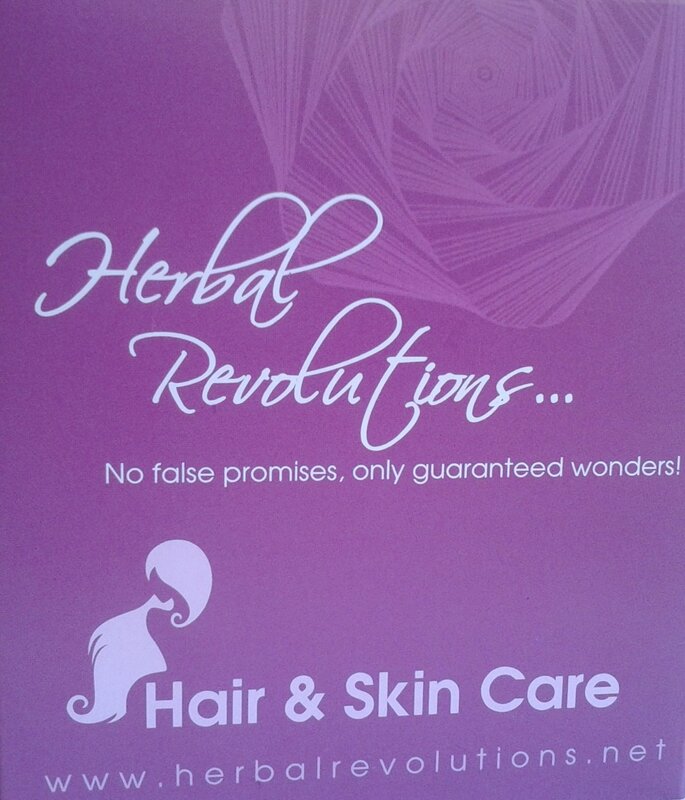 Looking forward to reviewing more stuff from Herbal Revolutions. Next Post The Quirky Skirt and Me!